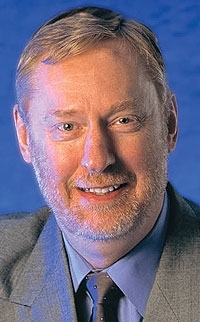 GM powertrain chief Tom Stephens: Volt and Cruze will roll out on time. DETROIT — The first Chevrolet Volts and Cruzes could be built with engines imported from one of General Motors' European plants. Financial problems forced GM to stop construction of an engine plant in Flint, Mich., in December. The plant was scheduled to begin production in the fall of 2010 so Chevrolet could launch the Volt plug-in hybrid and Cruze small car for the 2011 model year. Last week at the auto show here, GM Powertrain Vice President Tom Stephens said construction at the Flint plant has not resumed and he did not know when it would. But, he said, that would not hold up the launch of the Volt and Cruze, which use four-cylinder engines based on engines already produced in Europe. Said Stephens: "If you look at General Motors and how we are organized with global powertrain, part of the strength is that you have the ability to turn ... valves on and off to shift production around. We've done that with four-cylinder engines for a while because of the demand we've had." -- By 2011, about 21 percent of GM's engine output will be turbocharged four-cylinders. GM plans to replace some V-6 engines with direct-injected turbocharged four-cylinders like the engines used in the Pontiac Solstice GXP, which makes 260 hp out of 2.0 liters. -- The Cadillac SRX crossover, due this summer, will be available with a 2.8-liter, turbocharged V-6. It will be the first time Cadillac has used a turbocharger on a production vehicle. Several Cadillacs have used a supercharger, which is driven mechanically by the engine. A turbocharger is driven by exhaust gases.